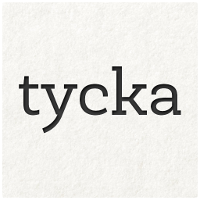 Tycka is an app for Chrome Cast that can be used to display the 5 most recent (at present) tweets to your Cast device. Currently, it offers the ability to show the last 5 tweets based on a search string; which can be a users name, a hash tag, or just about any arbitrary string you can think of. It refreshes the data every 15 seconds to attempt to stay within the API limits. This app is very early in it’s development. I will be working on adding a timeline stream and options for layout in the coming weeks. Any suggestions, please let me know and I will look into doing it. Released as a very early form on the 20th May, you can finally get your hands on Tycka as it was for March of the Droids 2014.